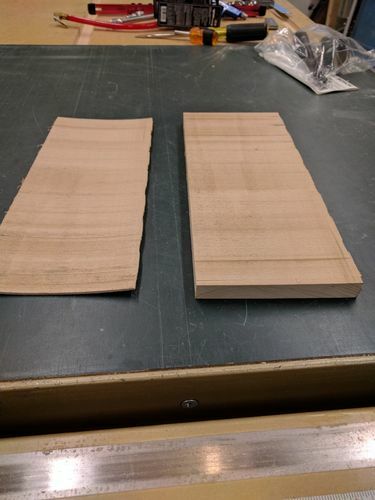 Not so great at my first resaw attempt. Fidgeting with the tension seems to be the issue that I’ll have to tinker with. I have looked at all types of reviews and what’s best of resawing 12” or smaller under the $1000 mark. It seems, the Laguna 14/12 is top pick for $988 + shipping, though the Rikon 10-325 and Grizzly G0513anv comes in a close 2nd. 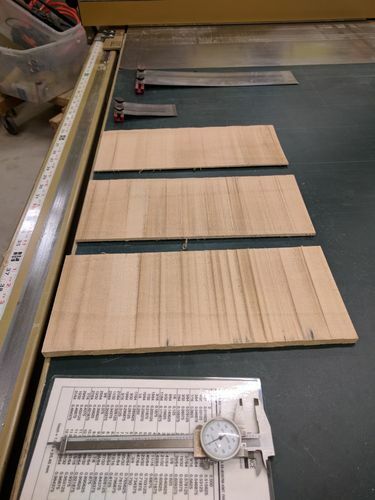 I know there are too many “which table saw, which bandsaw” posts are out there (which I have read many this Saturday). 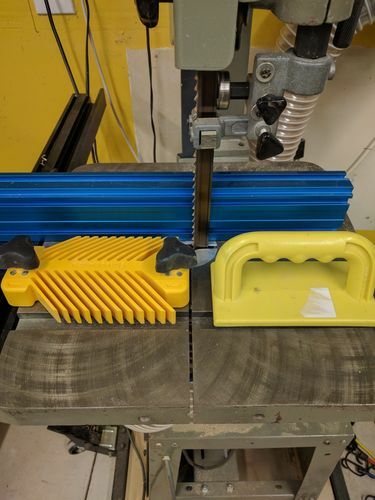 I was even considering building my own 20” bandsaw but…precision and cast iron seems to be critical to me when it comes to bandsaw veneer or resawing. I am for Laguna 1st (ceramic blade guides and much more) I believe one of the problems that you are having is the .75 blade. It would be impossible to set it up using the Snodrass’ method. For these smaller saws he recommends a .5” 3tpi blade. I bought the 14/12 shortly after they came out I also bought their re saw king blade for re sawing I do not regret this purchase in the least. I do a bit of re sawing quite often and I highly recommend that you put this saw at the top of your list. the assembly manual was an experience till I got used to their terms like fixens for bolts etc. I* don’t know if they have rewritten the book or not but you can still get by with it if they haven’t. good luck with your purchase. I don’t think you’ll be able to keep a 3/4 blade tensioned properly. That one takes a whole lot.